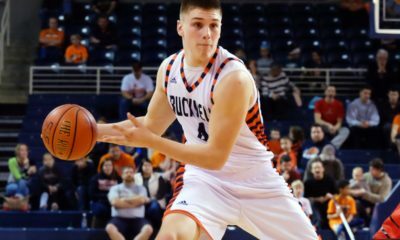 Jan. 22 District 9 boys’ girls’ playoff recaps. 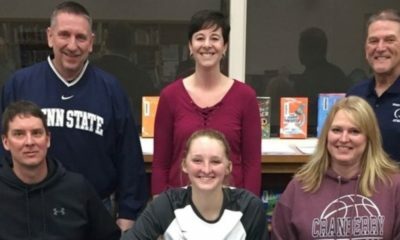 ST. MARYS, Pa. – Kyla Johnson scored 16 of her game-high 18 points in the middle two quarters, as second-seeded St. Marys overcame a slow start to beat visiting and third-seeded Clearfield, 51-30, in the District 9 Class 4A semifinals. The Lady Dutch (17-6) trailed 9-8 after the first quarter but behind 10 points from Johnson took a 26-21 halftime lead. Johnson then scored six more points with Kaylee Muccio adding five in a third quarter that saw St. Marys pull away from the Lady Bison by outscoring the visitors 13-2 in the frame to take a 39-23 lead. 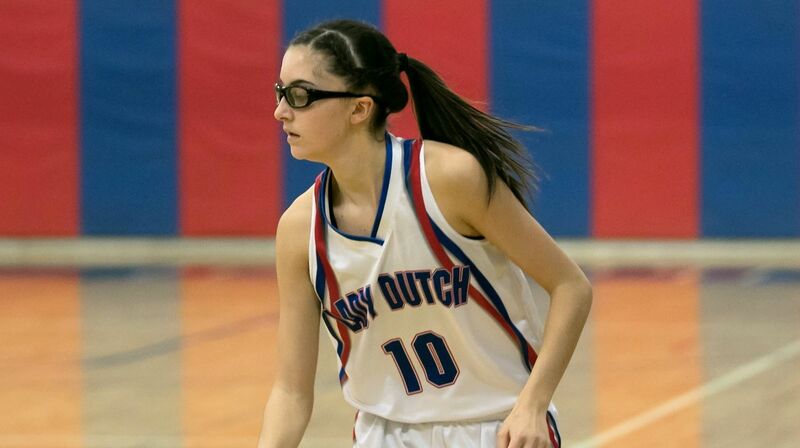 Muccio added 12 points for the Lady Dutch with Lauren Eckert and Samantha Hayes each scoring seven. Alyna Ryan finished with a team-best 11 points for Clearfield (9-14) with Emma Hipps scoring eight. St. Marys will take on top-seeded Punxsutawney in the title game at 6 p.m. Wednesday, Feb. 27, at DuBois High School. 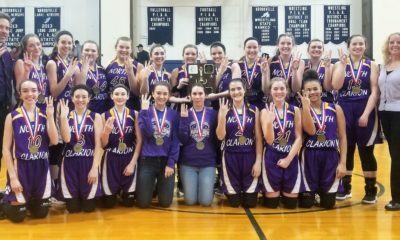 BRADFORD, Pa. – Cassidy King scored a game-high 20 points to help Johnsonburg reach a District 9 title game for the first time in 40 years with a 59-39 win over Otto-Eldred in the Class 1A semifinals at Bradford High School. The top-seeded Ramettes (20-5), who hadn’t been to a title game since winning the 1979 Class 1A championship, bolted to an 18-7 lead after one quarter thanks to nine points from King and then extended that lead to 33-15 at halftime with King adding four more points. Lindsey Kocjancic also had a strong game for Johnsonburg scoring 16 tallies with Rylee Casilio adding 13. Fifth-seeded Otto-Eldred (15-9), which lost in the semifinals for the second straight year after finishing as D9 runners-up in 2017, got 15 points from Autumn Smith and 11 from Lauren Cousins. Johnsonburg will take on the winner of the North Clarion/Coudersport semifinal game in the championship game next week. The date for the North Clarion/Coudersport game has yet to be announced let alone a date for the championship contest. Otto-Eldred, which qualified for the PIAA playoffs with its quarterfinal win, will play the loser of the North Clarion/Coudersport game in the consolation contest also on a date to be determined. 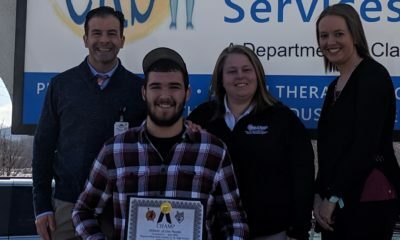 HOLLIDAYSBURG, Pa. – Top-seeded Hollidaysburg outscored fourth-seeded DuBois 35-12 in the second half on its way to a 49-19 win over the visiting Lady Beavers in the District 6-8-9 Class 5A semifinals. DuBois trailed by just seven, 14-7, at halftime but couldn’t keep pace with the Lady Tigers in the second half. Hannah Snyder and Allison Hileman led a balanced Hollidaysburg attack with 10 points each. Janessa Goins chipped in nine points and Sierra McClain added eight. Chelsea DeSalve led DuBois (11-13) with a game-high 15 points. Hollidaysburg will play Obama Academy in the title game.